South Korea's special prosecutor's office said it will charge Samsung Group chairman Jay Y. Lee with bribery and embezzlement. The case is linked to a high-profile corruption scandal involving suspended President Park Geun-hye and a secret confidante. Prosecutors said four other Samsung executives will also be charged. Three of them resigned on Tuesday following the announcement. "The five executives will face charges including bribery, embezzlement and hiding assets overseas," a spokesman for the special prosecutor, Lee Kyu-chul was cited as saying by Reuters. He added that the head of Samsung will be charged with committing perjury before parliament. Jay Y. Lee was arrested earlier this month as prosecutors prepared the indictment. 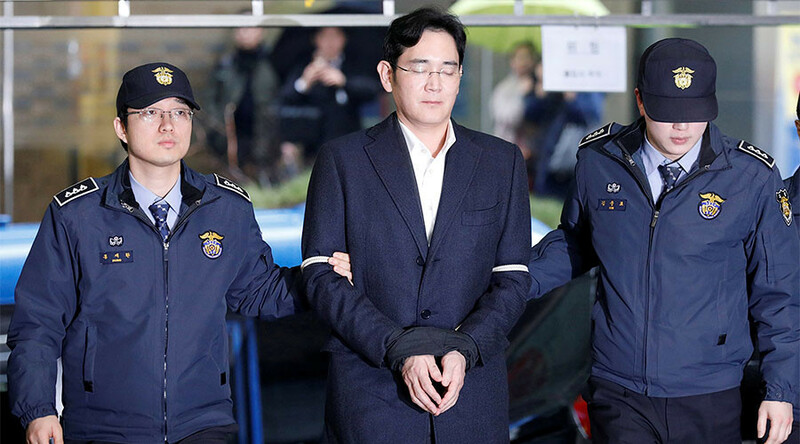 He is accused of providing $37.31 million (43 billion won) to non-profit foundations operated by President Park’s secret confidante, Choi Soon-sil. The donation was reportedly made in exchange for approval of a controversial $8 billion merger of two Samsung companies in 2015. Lee and other Samsung executives have denied the accusations. An old friend of the president, Choi is accused of using their friendship to interfere in politics. She is on trial but denies the charges of various offenses, including abuse of authority, coercion, and attempted fraud. President Park, who has been suspended from her duties following impeachment proceedings last December, has denied any alleged wrongdoings but apologized for her relationship with Choi. She formally remains the president until the Constitutional Court decides whether to back the parliamentary decision. The spokesman for the special prosecutor said the case against President Park would be handed over to regular prosecutors with Park remaining a suspect. He added other conglomerates may also become involved in the investigation. The special prosecutor's office is expected to make an official announcement regarding the conclusion of the investigation on March 6.